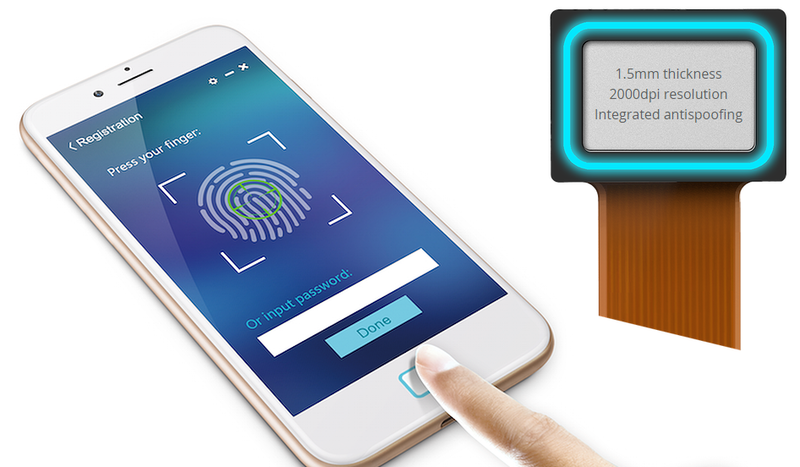 At just 1.5mm thin, VKANSEE has developed the world’s ​thinnest optical fingerprint sensor. But don’t underestimate the small form factor – it takes fingerprint images in stunning 2000dpi resolution. That’s 4X the resolution of most competitors, and higher resolution means more accuracy. 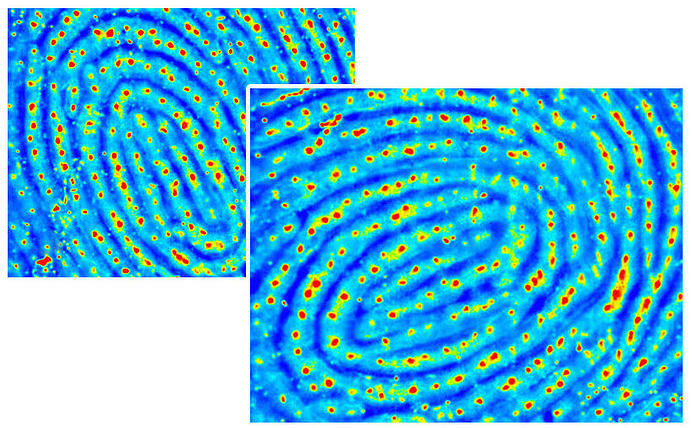 In fact, the resulting fingerprint images are so detailed that we can clearly detect the presence of sweat pores as an anti-spoofing measure. It’s actually a little more complicated than that, but we’d prefer not to let the tricksters know exactly how it all works. On the technical side of things, our sensor sips less than 0.1mW of power and includes a patent-pending detection feature that will automatically awaken the device from sleep mode and verify a fingerprint. The sensor has a standard hardware interface, and it supports all device operating systems. Despite game-changing resolution and features, our sensors are surprisingly affordable. They’re also easy to integrate. Mobile payment technology has exploded in popularity due to technologies such as NFC. In fact, mobile already accounts for 25% of all online transactions. Make sure your customers’ data is safe by enabling biometric authentication. Mobile devices come in many shapes, sizes and colors these days. So do our sensors. Choose the size, color and LED that is best for your device. 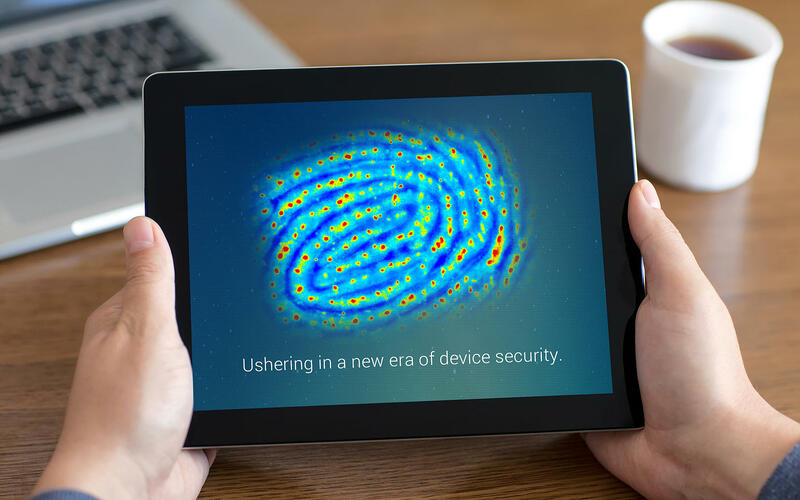 What’s the point of having a fingerprint sensor in your device if it’s easy to spoof? Our sensor exceeds FBI Appendix F resolution by a factor of four and supports 3rd level feature recognition, meaning that we analyze minute sweat pores and other features on the surface of the skin, in addition to the usual ridges and bifurcations, and use this data for finger matching and anti-spoofing. Not bad huh? But there’s more. Our system doesn’t save your fingerprint images. Instead we capture fingerprints and immediately encode them as secure, encrypted templates (1’s and 0’s) so your identity would remain secure even if the data on your device was somehow compromised. Our mission is not only to secure your device and transactions, but your own personal data. 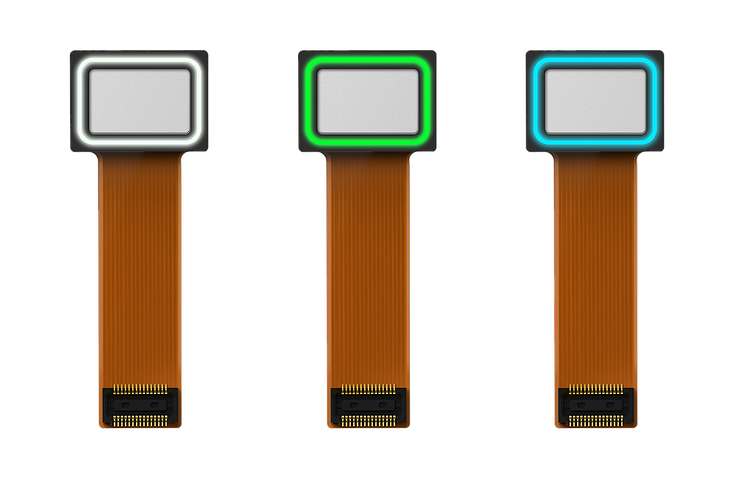 Our sensor comes in two sizes and multiple colors, to support a wide range of devices. Choose a surface color of black, white, silver or gold. The LED is available in white, green, blue, red or clear.